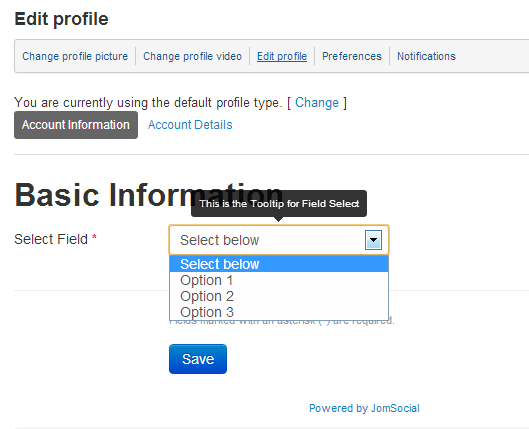 To create field of type select navigate to site backend and from Components dtropdown menu select JomSocial -> Custom Profiles. 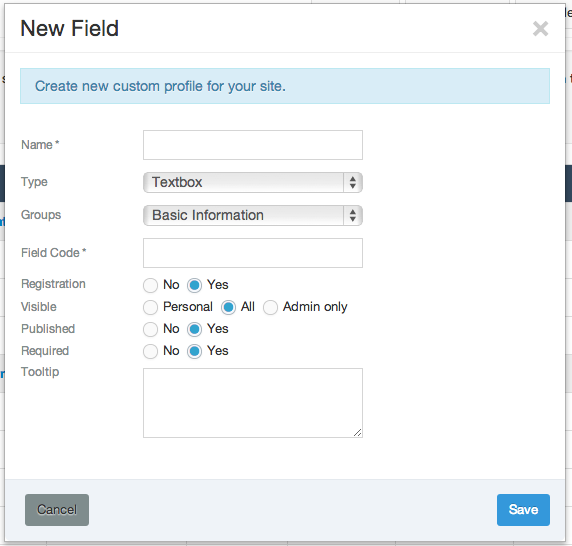 Option - Enter the available options. Each in new line. Make sure you dont leave blank lines as they will be treated as blank answer.